The Sullivan Law Office focuses on the fact that every application for social security benefits is unique to the individual. The Sullivan Law Office may provide valuable assistance during the long and sometimes stressful gathering of personal information and medical evidence involved in the application process. Applicants should understand every necessary detail before they file an application and the Social Security Administration (SSA) determines eligibility. The assistance of an experienced and knowledgeable disability attorney may, therefore, be crucial to the approval of an application for disability benefits. 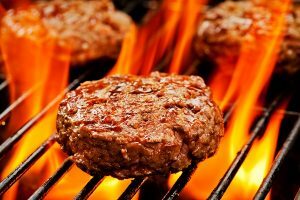 The lawsuit alleges that the restaurant failed to warn the customer about the ghost pepper burger’s extreme spiciness. Under an actual standardized rating system for spiciness, Ghost peppers are rated at approximately 1,000,000 units, while a jalapeño pepper is rated at approximately 5,000 units! After eating the ghost pepper burger, the customer ran from the restaurant vomiting, which doctors believe caused the hole in his esophagus from the body’s natural reaction to release the ghost pepper. In evaluating disorders of the digestive system, Social Security considers disorders including gastrointestinal hemorrhage, hepatic (liver) dysfunction, inflammatory bowel disease, short bowel syndrome, and malnutrition. These disorders may also lead to complications, i.e., obstruction, or be accompanied by manifestations in other body systems. Taking advantage of the legal services offered by the Sullivan Law Office may be seamless and involve as little friction as possible. The Sullivan Law Office provides assistance in ensuring that all applicants and recipients receive all of the benefits to which they are entitled in all types of disability cases. These include Social Security Disability, long-term disability, short-term disability, state retirement and workers’ compensation. Contact the Sullivan Law Office today. We offer free consultations, so you have absolutely nothing to lose! We look forward to hearing from you. Call 888-587-0228 or visit us online.